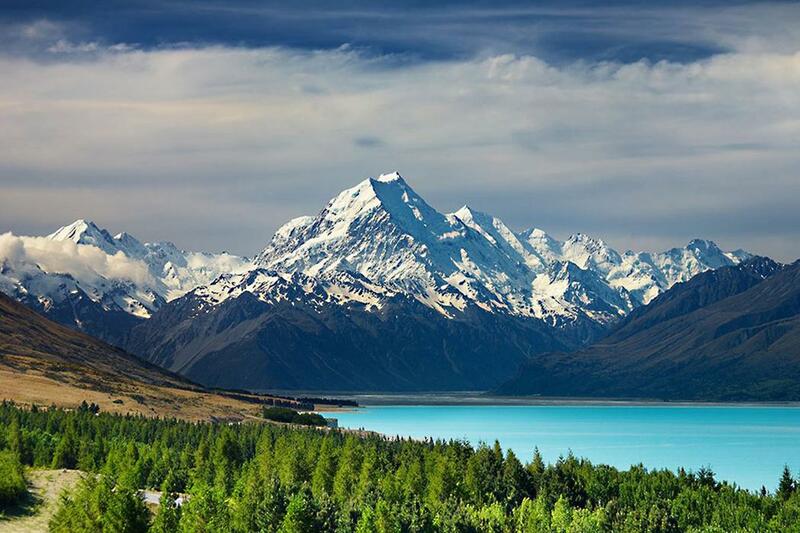 Study while discovering New Zealand and fall in love with the natural beauty here that is impossible to forget. The country's lakes, mountains, native forest, open spaces and clean air provide a magical backdrop and an outdoor adventure playground for your student exchange experience. What is the Incoming Student Exchange at UC? The Incoming Student Exchange is a programme between UC and our exchange partner universities. If you are studying at an exchange partner institution you may be eligible to apply for the Incoming Student Exchange. When you study through the Incoming Student Exchange programme, you are studying as an exchange student from your home institution and are not required to pay tuition fees to UC. UC is also offering an exciting Global Rugby Abroad programme to College rugby enthusiasts with an opportunity for a rugby Exchange semester in Christchurch. Exchange students are not charged tuition fees at UC. However, you are required to pay the fee of $4000 for the Rugby Programme. See more details about the programme on the webpage for the UC Global Rugby Abroad programme. To apply for the incoming student exchange programme, you must be nominated by one of UC's partner institutions. As an exchange student you are not required to pay tuition fees to the University of Canterbury and the credits you earn while studying here may be transferred back to your home institution. Check from the list below to see if your institution is amongst UC's 60+ exchange partners. Fill out our Incoming student exchange application form now. If your institution is not listed, your home institution's International Relationships Office will be able to tell you whether there is an exchange agreement in place with UC and advise you how to apply for nomination. High academic standard in your studies at your home university are usually expected when applying for the Incoming Exchange programme. Your home institution needs to nominate you to be considered for the exchange programme, so check the entry requirements determined by your home institution. Some UC courses run first semester, some second semester, and others are full year courses. When you apply, check that the courses you want to take are available. Search or browse Qualifications and courses or Subjects to explore your options. A standard workload is 60 points per semester, and although different courses have different points values, in most cases each course will be 15 points. A normal full-time programme for a semester would be three or four courses. Some courses may not be available to Incoming Exchange students which inclulde the following. If you need to know in advance whether you are able to take a particular course, please include a course list in your Incoming Exchange application. Note: Education courses with EDUC course code under the Bachelor of Arts schedule are available to Exchange students. some Physical Education and Sport Coaching courses require police checks. Please contact us at ucmobility@canterbury.ac.nz to check if the Physical Education and Sport Coaching courses you wish to take require police checks. Social Work – field work courses are not open to Exchange students. Entry to other theory courses will be considered case-by-case basis and approval from Social Work will be required. Some other courses are limited entry and may have additional entry requirements. Please contact the International Mobility Co-ordinator if you have enquiries about course restrictions. Some courses have pre-requisite requirements and students need to have sufficient academic background to be considered for entry to these courses. As an exchange student, you will not be required to pay tuition fees to UC. You will pay tuition fees to your home institution. Any applicable visa application fees. Most exchange students stay at the UC Accommodation Student Village on campus which offers an accommodation package for exchange students. Find out more about accommodation for Exchange students. It is not possible for exchange students to travel to New Zealand on a visitor's visa and apply for a student permit upon arrival in New Zealand, even if you are a citizen of a country with which New Zealand has a visa waiver agreement. It is imperative that you apply for and receive your student visa before travelling to New Zealand as you may be refused a student permit if you apply for a student visa once you are here. Full details of visa and permit requirements, advice on rights to employment in New Zealand while studying, and supporting requirements are available from Immigration New Zealand. When your application for admission to the University of Canterbury is approved, we will provide you with an Offer of Place letter (acceptance document) which you can use to submit to Immigration New Zealand for your student visa application. Exchange students must have appropriate and current medical and travel insurance while studying in New Zealand. This insurance must meet requirements set by the New Zealand government under the NZ Ministry of Education Code of Practice. Studentsafe-university Insurance is the University's current default insurance cover which meets the standards of the New Zealand Code of Practice for the Pastoral Care of International Students. Exchange students can purchase Studentsafe‐University cover when they complete their enrolment in person on campus. If exchange students hope to utilise an alternative insurance policy, they must have the cover assessed at least four weeks before enrolment to determine whether it meets NZ government requirements. The application form for insurance assessment is available on the web page below. It is important to note that many overseas policies do not meet New Zealand requirements. An insurance policy required by your home university may also not necessarily meet New Zealand requirements and if it does not, you will be required to purchase the default insurance, Studentsafe-University at enrolment. If your institution is a University of Canterbury Exchange partner, you need to be nominated by your home institution to be able to apply. Once you have been nominated, complete the Incoming student exchange application form. Once you have completed the form you need to submit it to your home university. They will send your application to UC by email with the required documents including your official transcript, nomination letter from your home university and evidence that you have met UC's English language requirements, if English is not your first language. If your transcript does not show the courses that you are currently taking at your home university, please provide a list of these courses signed by your home university. UC cannot accept faxed applications and exchange applications sent to us from students by email. When UC has received your application, we will send you an email to confirm this. UC will then process your application and normally notify you within 4 weeks of the decision.